Your bathroom floor can undergo a lot of wear. You’ll get a lot of traffic in the same areas. If you’ve ever taken up the flooring in an old bathroom then you’ll know what we mean. 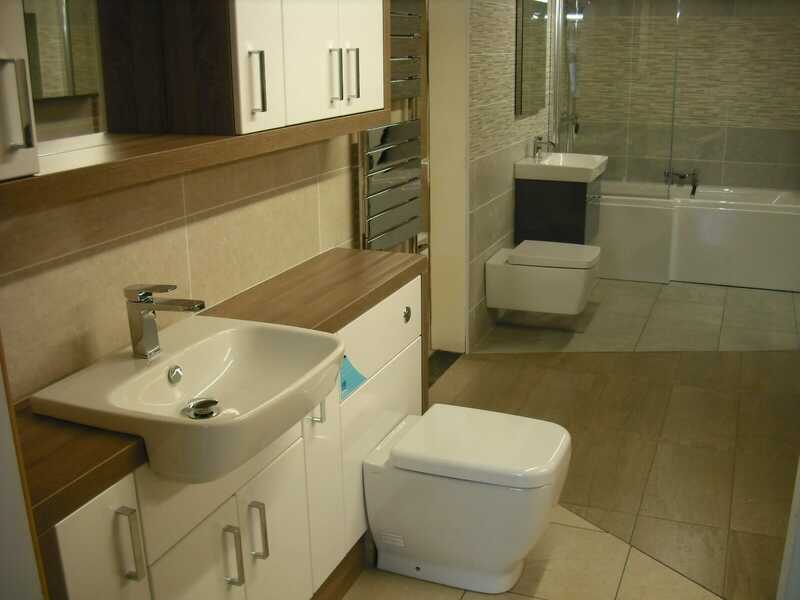 When you begin to design your new bathroom you’ll find there are many options. From suites to taps to tiles and flooring you’ll need to make your decisions based on your tastes as well as the functionality of the room. So what’s best for your floor? Well here are some ideas of what you can have as well as some things we suggest avoiding. Let’s get this one out of the way right away. Carpet is seen as unhygienic in a bathroom and it doesn’t hold up well in a room where you’re washing, shaving, getting steamy, and leaving wet towels laying around. We simply don’t fit carpet in a bathroom and encourage you to avoid it too. A nice soft carpet is better left for the lounge in our opinion. Porcelain tiles. Stronger by half. Porcelain tiles are very popular option. 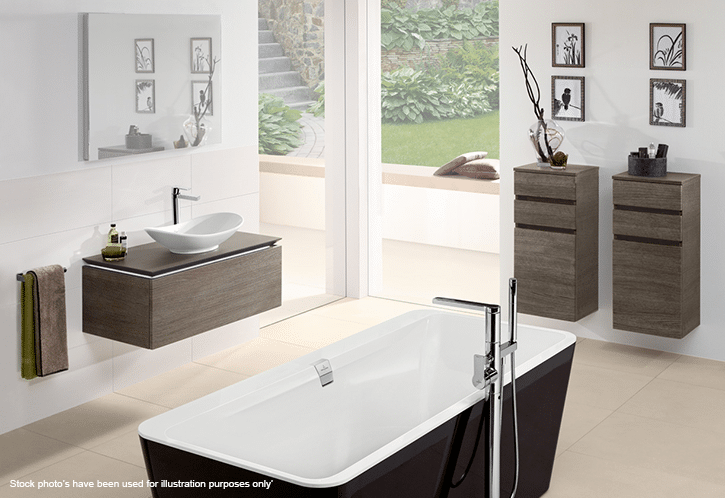 Tiles are waterproof, durable, easy to clean, and the most used product for bathroom floors. You’ll even be able to use the same tiles to tile your shower tray and your walls, and they make a perfect material for a wet room. If you don’t fancy stepping onto a cold stone floor in the morning why not consider under floor heating? Not only do you get a toasty warm bathroom at the times you choose to suit your schedule, but you can also do away with bulky radiators and save yourself some space. Karndean is a very popular flooring in modern homes now. With the right fitter it will put you in good stead for many years. The artificial material is brilliant at disguising itself as wood, tiles, and more, but can you use it in a bathroom? Well, yes and no. You can’t use Karndean flooring as a shower tray in a wet area, but you can use it in a bathroom where the shower and bath have been waterproofed as much as possible. There are two types of Karndean and you should be aware of them. You can have ‘glue down’ flooring or ‘loose lay’. Loose lay allows you to lift up your flooring should you ever need to, which in a bathroom could mean getting under the floor for wiring or pipework. It might be worth a consideration. The glue down flooring isn’t designed to come up easily, but a professional fitter can help you if you need to remove or replace it. 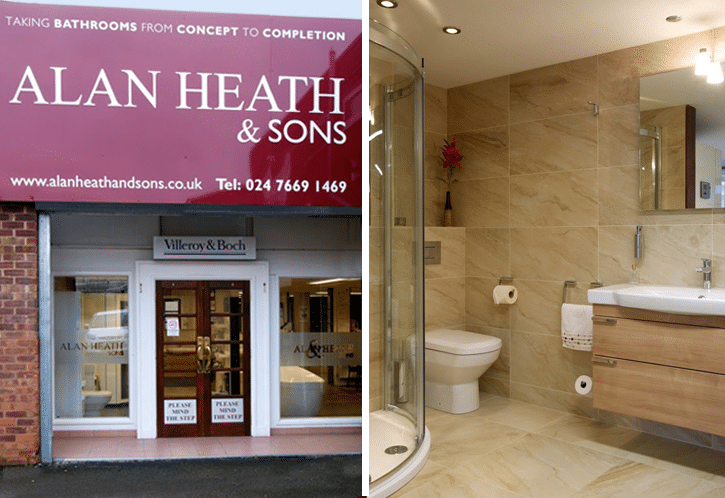 At Alan Heath and Sons we pride ourselves on our high standards and professional materials. 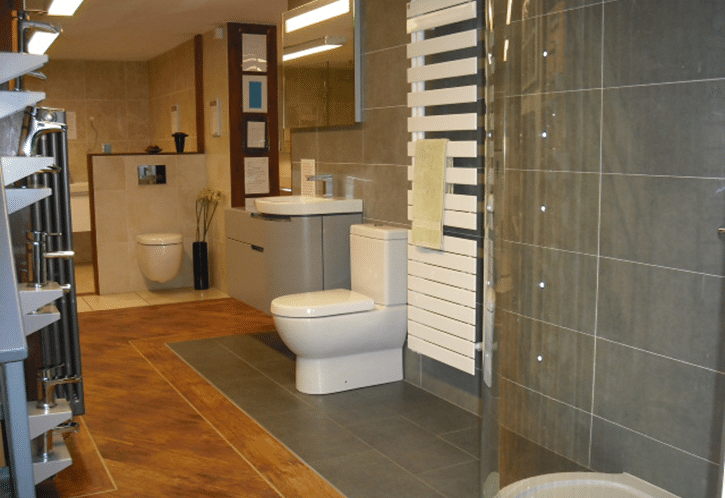 We don’t offer sheet vinyl for bathroom flooring. Sheet vinyl flooring is cheap, not very hard-wearing, and will need replacing well before a tiled or Karndean floor. Just avoid it if you can. It will show scuffs and scrapes and signs of modern life. It’ll look tatty and could go mouldy pretty quickly. The only time we come into contact with this material is when we rip it out, which tells you everything you need to know. Again, this is another material we wouldn’t recommend. You will find many people and who claim that laminate flooring is water-resistant, but we’ve not yet seen one that is perfectly waterproof. 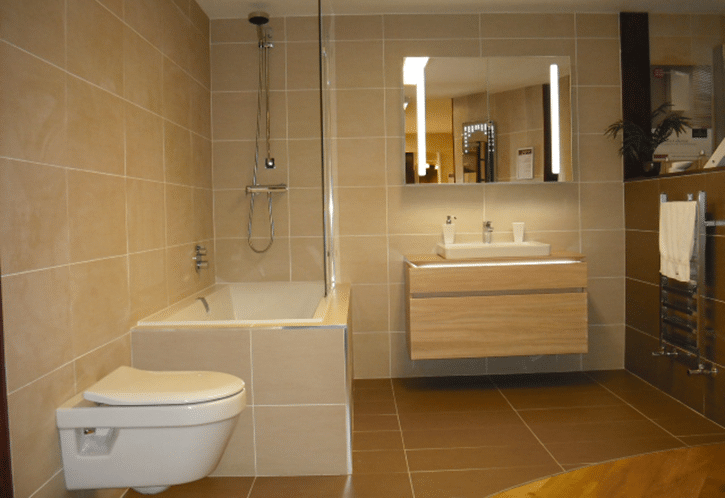 In a bathroom you need the flooring to be 100% waterproof if possible. If it’s not 100% waterproof then there’s a fair chance that water could drip through your floor over time and that could lead to all sorts of leaks and floor/ceiling damage, as well as mouldy or damp areas. Using the floorboards in your bathroom? If you have an old house with feature floorboards this is a potential option. But once again you must consider the waterproofing of this type of floor. You would need to varnish or seal your floorboards so that the water doesn’t damage them or leak through. Without this you’ll have no protection from the constant water that the wood will come into contact with. Don’t forget that the floor in your bathroom will come up against a lot of water in its time. Many options, only a few are the right ones. For us, it’s all about the tiled flooring or the glue down Karndean. 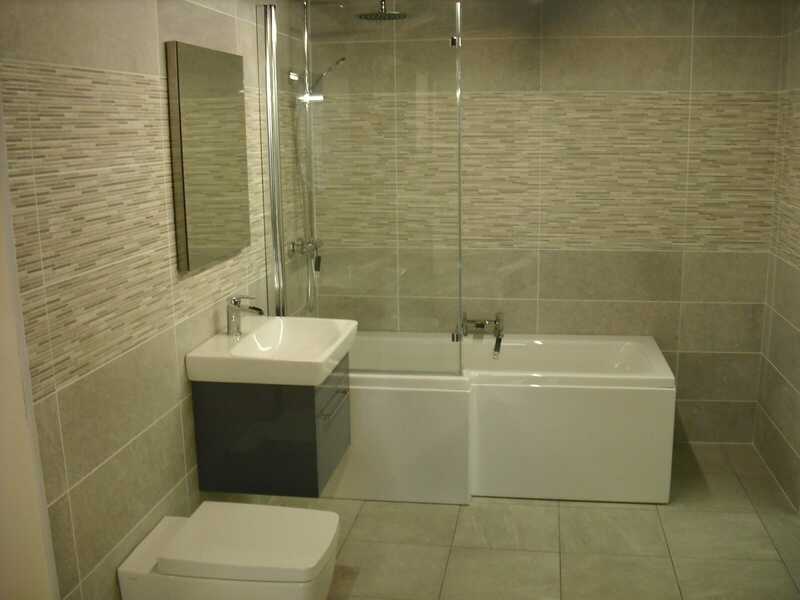 Porcelain flooring is the most popular because it suits the bathroom better than the rest. It’s durable and waterproof and easy to clean. 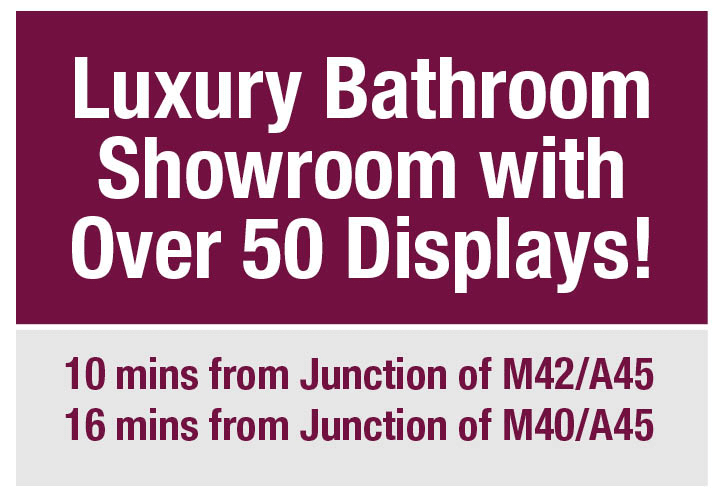 If you need more help designing your bathroom please do contact us now or pop into our bathroom showroom in Coventry.